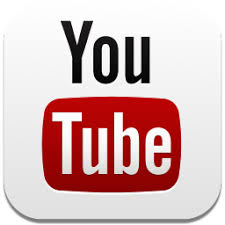 Created in February 1995 Reggae Sun Ska association previously named Music’ Action organizes since 20 years music promotion and dissemination actions. Festival’s first edition took place in 1998. Festival always moved its site in the Medocan territory but always kept alive and its objectives. 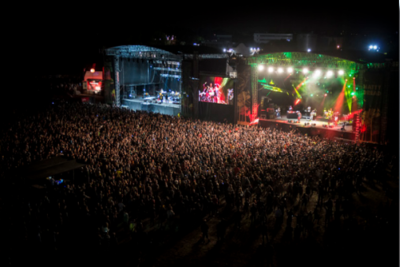 After a record edition in 2012 with more than 80 000 tickets sold and a 2013 edition which had been maintained despite a storm which obliged us to cancel the first night, Reggae Sun Ska keep its leading as biggest festival in the Aquitaine region and its position in the 10 biggest music festivals in France. Last edition in 2015 had been successfull as we could meet our objectives with 40 000 entries. 2016 will be determining. Reggae Sun Ska was a true microcosm in the Medocan territory and today little city in the university campus of Bordeaux Métropole Reggae Sun Ska Festival is one of the most important event in the region. Gathering a large and music lovers audience the festival could convince many partners who largely helped to maintain the event alive. This year all the festival’s team is happy to reinvest this place on August 5th, 6th and 7th developing many sportive and cultural activities, good reception areas and a musical line up always rich and original. Leave place to music share and discovery ! Elected as 1st European destination in 2015 Bordeaux is an artistic and historic city classed as being a UNESCO World Heritage since 2007. 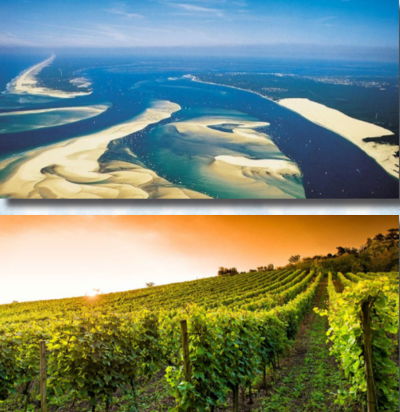 The city is ideally situated between Medoc, Arcachon’s Bay and Dordogne department so many beautiful places to visit and discover. One of the greatest gastronomy and wines in the world are waiting for you ! – The two main stages are the festival’s trademark. Many international artists had been played on it like Jimmy Cliff, Stephen Marley, Asian Dub Foundation, Matisyahu in 2015. 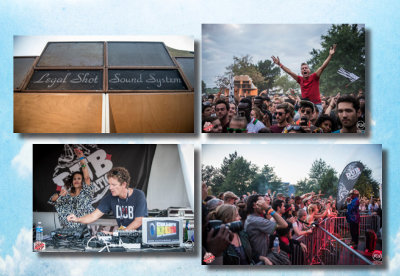 – Dub Foundation stage is dedicated to the Dub as its name suggests inviting you to share 3 nights with some of the greatest Dub and Reggae musicians on a good sound system. Since its creation in 1998 Reggae Sun Ska Festival welcomed Sound Systems from all over the world as its mission is defend all the Jamaican musics. And since 5 years a special stage is dedicated to this. This year it will be warmed by our friends from Legal Shot Sound System ! – Showcases sage offers a real proximity with the artists programmed on the festival who come to play an exclusive show and make dedications. a deposit phones charging area direct access to the festival by tramways, cars, bikes and buses. a place on the University Campus of Bordeaux festival, from 6 km of the city center, and accessible by tramway, bus, cars and bikes. Bordeaux is 3 hours from Paris by train, 2 hours from London by plane. 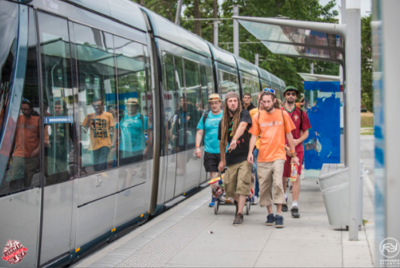 Train station and airport are at 20 minutes from the festival many of our partners like Blablacar propose ecologic transport solutions. Since 2005 Reggae Sun Ska develops a powerful eco responsability and social process becoming one of the festival’s precursor. Historically the festival was voluntary based in particular and specific territory. Médoc is full of worldwide famouse vineyards and protected areas with unique animals and vegetables. Arriving in a urban zone the event is maintaining and developing is eco actions named Eco Sun Ska. Any post in the organization is studied in order to reduce festival’s impact on the environement and to promote an eco citizen comportment with our audience. sensibilisation work with distribution of 20 000 refuse bags : green for glass, yellow for recyclable products and red for the rest. – 52% of the total of the wastes had been sorted in 5 categories : glass; sorted wastes (cops / plastic bottles / canned); carton; compost; green wastes. – 20 000 eco packs green / yellow and red had been distributed to visitors. A unique dispositive on a festival with a prevention team from internal organization started in 2009. – qualitative missions : to look out for the visitors’ and volunteers’ well-being; to prevent and reduce risk behaviours in festive places; spread and share the Reggae Sun Ska’s values. Popular ball and real social pression loophole before the Jamaican independance day sound system quickly became THE festive moment of the end of the week. Music takes place in the street with very few resurces. Year after year reggae dancehall and others styles are mixed and sound systems are real creativity moments for selectas and djs. This mobile sono concept is moving across the world becoming an ambulant musical media. A new music style is born : DUB. Desire to defend this mouvement became natural for Reggae Sun Ska which promote generally the Jamaican culture. So the first stage dedicated to the Dub came in 2010 on Reggae Sun Ska Festival to become Dub Foundation Stage in 2014 and which had a big success with our audience and medias. 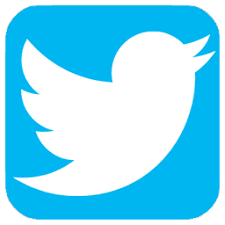 – develop a information process about dirt nuisance and prevention of the risks of hearing damages. Launched 6 years ago for the 14th Reggae Sun Ska’s edition, The Reggae Sun Ska Beach Tour became a festival’s symbole offering free concerts all over the Aquitaine coast promoting the festival and the brand new reggae scene which is programmed on the event too. Today we are the only festival offering this kind of tour. More than 10 000 spectators followed last year ! Reggae Sun Ska association is engaged during all the year in concerts production on the territory. In 2016 some projects are renewed others are borning in Médoc but in Bordeaux too. Soon come the programmation of the year ! 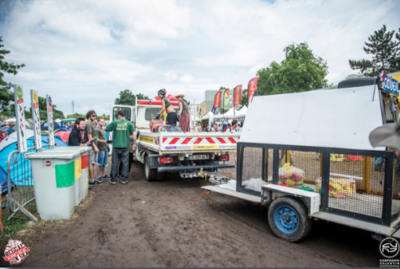 Since many years Reggae Sun Ska participates to the Deux Rives Carnival in Bordeaux with its reggae chariot animated by artists and sound systems of the moment. This kind of event are really popular and essential on our territories. In 2016 the action will be renewed in the Medoc territory. In collaboration avec Soulbeats Records, our independant label, Reggae Sun Ska Festival is happy to present every year the new edition’s anthem. Specially composed and sing by the artists for the festival this sound is the one who will reflect the festival values all the 2016 year ! You’ll find following the 2015 one created by the famous Canadian dj Dubmatix, and with Volodia and LMK, waiting for the brand new one coming soon ! voices their sound had been touring all around the world sharing a peacefull message and defending mixed cultures. An energic and surprising show to not miss ! He’s currently one of the most famous reggae artists. With 33 years old Alborosie achieved to produce and defend his music in live all over the world. The Sicilian who became Jamaican is developping a modern and authentic rub-a-dub sound which is delivered on stage with strength and conviction ! They’re slightly older than Booba … Together. If we have to speak about new school Florian and Olivio 22 and 18 years old originary from Argentine and Algeria are complying with the specifications. But they’re not rookies ! The two brothers are so hot ! Their style is not lacking in music and lyrics Bigflo & Oli are the new French rap’s pride you have to listen it ! We’re happy to welcome them again on Reggae Sun Ska to warm up the Dub Foundation stage ! With their perfect sound system of 20KW and 12 scoops Legal Shot Sound System are never at a loss for a big tune. They’ll share with you their passion for Dub and music during the 3 festival’s days ! Activist from the Dub scene since 2006, Mahom’s music is a crossroad of various influences : Roots, World, Electronic music. It is a fresh and refined style inspired by the solid and deep part of Dub, with sustained and lively stepper rhythmic. A simple alchemy that assumes its full scope live. The new French Dub scene in action ! giving set with heavy rhythmic and deep bass, in total communion with the audience. A super powerful live of the French Dub Touch ! There is no tune digger as inspired by the roots of Dub music as Weeding Dub, the pioneer of «French touch» live machine. He creates his music live, demonstrating his skills on his mixing console, which he uses as an instrument in its own right… After three albums and many maxis, his discography enhanced at the end of 2015 with a new opus entitled «Still Looking For» and he will show it live ! Their music is mixing various influences between French songs, Rock, Reggae, and latinos rhythms in the footsteps of the 80’ alternative spirit. After hundreds of concerts a golden disc a nomination to the Music Victories Boulevard des Airs stay faithful to its love for poetry cadenced by festive and popular sounds. A co-founder of the legendary UK Soundsystem KAOTIK, Vandal has been musical from a young age. Having spent much of his teenage years learning Sound Engineering, Music production and touring up and down the UK with the soundsystem, Vandal’s mind was made up which direction he wanted to go. Being inspired by the FreeTekno culture of Europe, the Free Parties he had witnessed over the years in Bristol, new found knowledge and fueled with a huge passion for Reggae music and Rave, he combined them together in his unique style to create a fresh modern sound. Young prodigy from the Portugese scene he launched his solo career in 2010 and made many concerts all around Portugal and Europe. He quickly conquered the audience with is original flow. In 2015 he recorded his last album between Portugal and Jamaica which is already qualified as reference is the closed reggae world. Richie Campbell will defend it with love on Reggae Sun Ska’s stage. known to all such as Reggae, Dub, Ska, which he mixes with a bit of Hip Hop, Soul, Jungle and heavy bass lines in order to spice up the whole thing! On the day of the release of his twelfth album entitled «Dubcatcher 2», Dj Vadim will land in Bordeaux with high-ranking guests, especially for the Reggae Sun Ska Festival ! No really need to present this incredible musician compositor and showman who became an icon. But for shape just remind that he’s the worthy heir of the one who make reggae renown all over the world. Damian « Jr. Gong » Marley take up the cause staying remaining faithfull to his days. His tracks are mixing reggae dancehall and hip hop a revolution for the genre which finally found a rebirth. You realy have to see the live one time in your life ! With one of the most beutiful reggae’s voice and warm melodies, Tarrus Riley quickly became an essential singer from the Jamaican scene. Hits like «She’s Royal» or «Good Girl Gone Bad» made his reputation as an eternal romantic. But the singer is really invested in more serious causes as peace and respect of the other. His love for music stay stronger than anything. He’ll make you live an intense moment with his band ! From Peter Tosh to Burning Spear passing by Tarrus Riley, Dean Fraser accompanied some of the greatests. Talented saxophonist and chorist in his spare times this Jamaican is a real orchestra conductor who always had been with the bests. Like in the pure Jamaican tradition of the big shows, live band accompanied by the only one Dean Fraser will open Tarrus Riley’s show. Her passion for music started with piano until she discovered her incredible voice. Talented as R’nB divas of the moment Alaine risk her career in the musical buisness but work paid ! Her grace and sweet voice allowed her to conquer Jamaica and now Europe. She’ll open Tarrus Riley’s show as a student of him. Impossible to speak about Italian reggae without saying a word about Mellow Mood ! With their energetic and combative new roots they already seduced a worldwide audience and are making the buzz on the internet with more than 22 million views on their «Dance Inna Babylon» Youtube videoclip. We’ll talk about them for a long time, be sure of that ! In the footsteps of their olders from Legal Shot, Blackboard Jungle built is own sound system to spread good sound everywhere. With some combative Reggae/Roots the duo from the north of France is largely inspired by the English sound of the 70’. 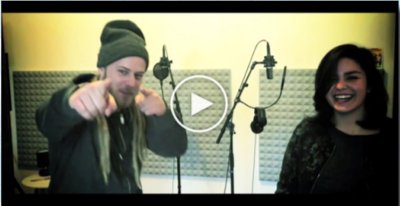 Today they have their own studio and label, a real collective just for you ! General Levy, an MC with an unrivalled flow and real veteran of the UK urban scene, is a born performer and the author of the ‘Incredible’ tune. Joe Ariwa grew up in his father’s studio, the legendary Mad Professor, who taught him all the mixing methods and dubwise style. These two will get together for a genuine and energy-giving performance ! 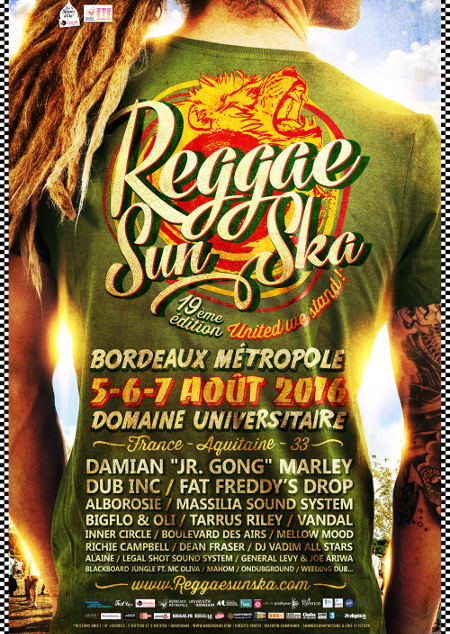 The Reggae Sun Ska’s 19th edition will take place on August 5th 6th and 7th 2016 on the University Campus of Bordeaux (France). 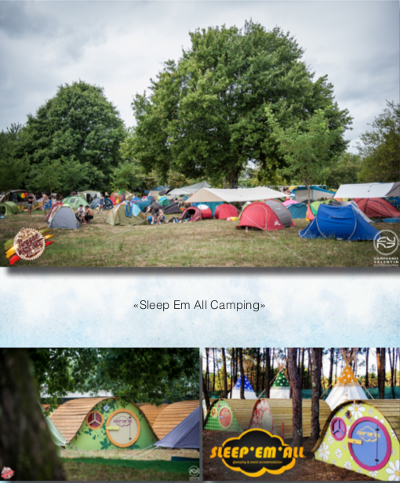 – camping pass (for one, two or three days) : 10€ (just for people who’ve got the festival’s pass)Our Partners Reggae Sun Ska’s team want to thanks all our partners who made the festival still alive.